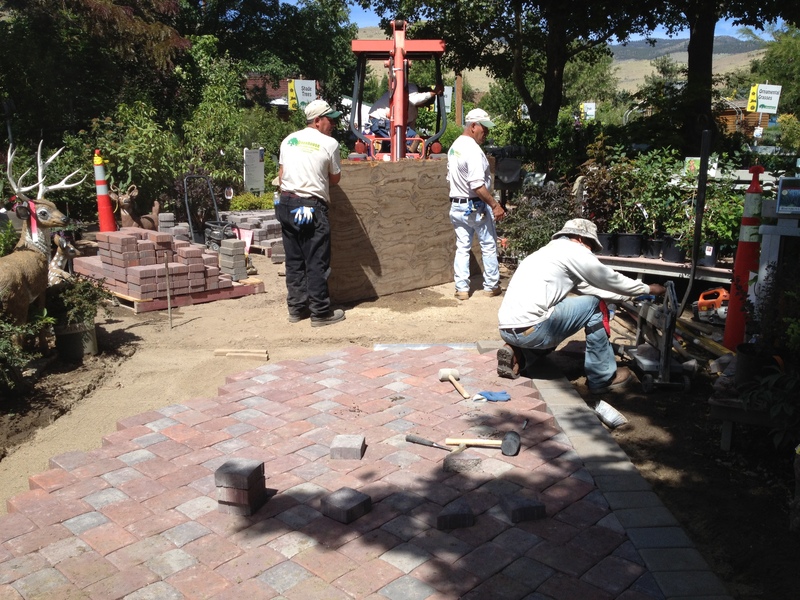 Our landscape crew gave a demonstration on how to lay pavers yesterday. Hot work! This entry was posted in Greenhouse Garden Center, Nursery by Bonnie. Bookmark the permalink.